How to write a good business plan? Home » Business Ideas » How to write a good business plan? 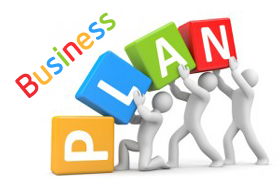 Preparation of a business plan is the first and most important task for starting a business. If you are planning to start a business, you must prepare a business plan. In this post let’s explore detail about, How to write a good business plan? The business plan is a blueprint of business operations. It is probably best described as a summary and evaluation in writing about your business idea. If you are running out of business ideas, you can refer to my earlier post mentioning “40 small business ideas with low investment”. The business plan should include details concerning the industry in which you operate, your product or service, marketing, production, personnel and financial strategies. What is the purpose of Business Plan? A business plan allows you to think through all the factors of a business, and to solve potential problems before you encounter them. It will identify strengths and weakness and help to assess wheatear the business can succeed. It is a blueprint for starting, maintaining or expanding a business. It is working plan to use in comparing your achievements to the goals you set. It should provide information required by financial institutions when finance is sought. Gather as much relevant information as possible concerning the industry in which you intend to operate (the number of businesses already operating, the size of their operations and where they are located). Use books, industry associations, and existing business owners to help you. Collect all possible information regarding the markets you are aiming for (who buys, why do they buy and what are the key features the customer looks for). Learn all you can about the products or services you intend to produce distribute or offer. When Steps 1 and 2 are completed , you should have decided if there is a market for your products or service which is large enough and sufficiently accessible to make your new business financially worthwhile. Now you are ready to commit your plan to paper. Decide how the business will operate, you should describe how the business will be managed, and the staff and of organizational structure that will be in place. Diagram may be useful to show how these areas will work. Don’t forget to include the areas of responsibility for each member or staff. This is especially important if some of your staff will be family members. A Marketing Plan, which includes location, method of selling, packaging, pricing and so on. In all these areas you must be aware of consumer trends to make sure that your business does not become outdated or irrelevant. An Operational Plan, which describe the day- to -day running of the business. You should include supply sources, cost and quantities of materials, processes, equipment and method of extending the services or products offered. Nothing remains constant in business; circumstances change, markets change, fashion change, method change. From time- to -time you must check your sources of information and reassess your business plan. What is relevant when you start is not necessarily so in five years time. You may also need to revise targets and budgets if external factors (such as interest rates) vary. Keep your information up -to-date and be prepared to change as circumstance demand. A business plan should be thought of as flexible, not fixed. If you use these steps to develop a business plan, changing it according to circumstances, you will be well on the way to a successful business. If you like this article, please share it on facebook and twitter.